Ecologically a Natural Pool is a magnet for wildlife. Sit and enjoy watching swallows dipping, iridescent dragonflies darting across the water, birds bathing. Children spend hours exploring the fascinating under water world of pond life with mask and snorkel. It’s not just about the wildlife though- our Biotop Natural Pools have low energy requirements, so low running costs. Areas of shallow water mean the water heats naturally faster than a conventional pool, giving you a long swimming season without expensive heating. Our Natural Pools are low maintenance and require little work during the swimming season. 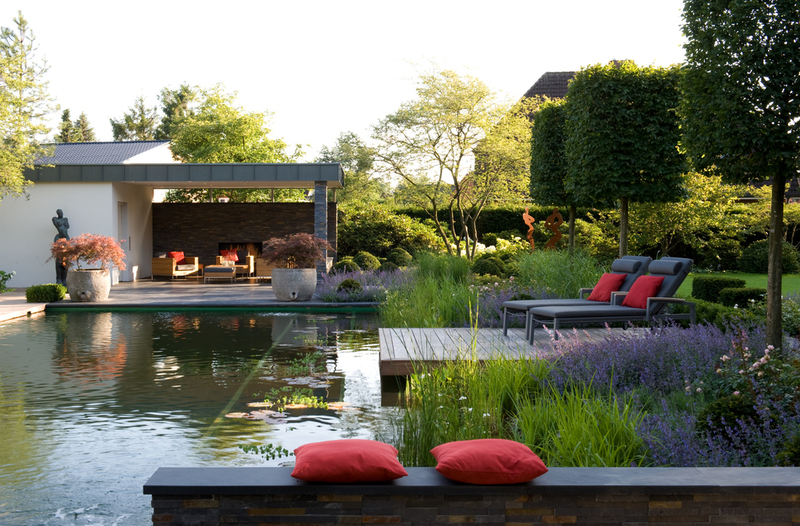 We design and construct our Natural Pools to suit your lifestyle and fit into your garden. They can be small or large, any shape, contemporary, formal or naturalistic in style. Enjoy your pool as it changes with the seasons. A magical place for relaxing beside the water, for family fun, alfresco dining and outdoor living, or wildlife watching and water gardening. A Natural Pool is so much more than just a swimming pool. 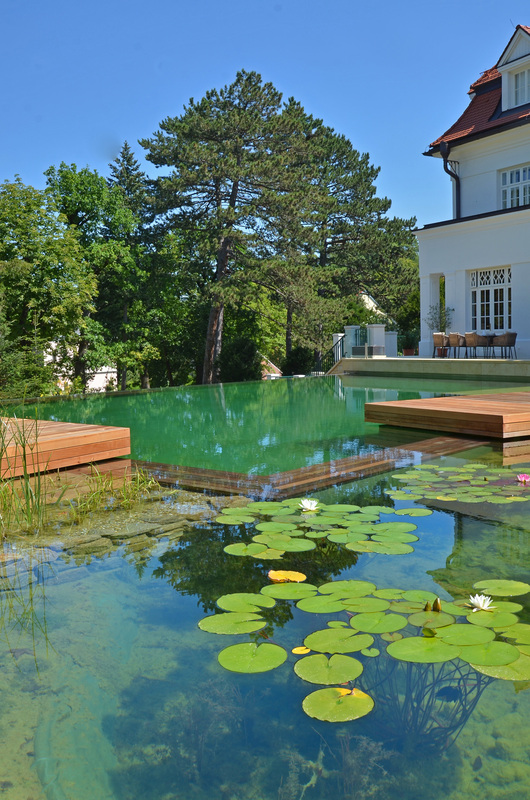 The cost of a Natural Pool or conversion depends on factors such as construction, pool finish, size, type, design, features and finish and site conditions including ground, drainage, access and location. Please contact us to discuss your pool project further.